Much of my adult life is spent improving productivity — both as a knowledge worker and as a poet. However play — inherently non-productive activity — is also incredibly important to me to remain fresh and creative. Plus, it’s fun. For as long as I can remember LEGO® bricks have been one of my favourite playthings. 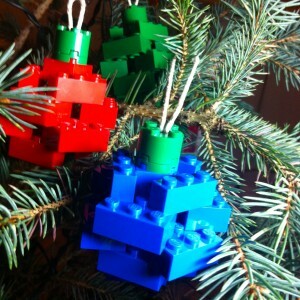 Being near to Christmas time, I thought it would be fun to make some ornaments for our tree. I found some excellent, but complicated, examples on Chris McVeigh’s website. Like so many spherical structures made with lego, it involves layering cuboids to achieve a rounded effect. So I started playing on my own, and re-discovered something I that must have first learned very early on about LEGO® bricks — that if you join them corner-to-corner, they can rotate a bit. I began to explore the possibilities in this, and soon landed on rounded ornaments based on hexagonal, instead of square, structures. This “thinking outside the brick” approach happens most often when I am in an inquisitive frame of mind, and one of the best ways to create that mindset is to give myself permission to not have to produce an outcome, but instead just play.